Colleagues, I have invited you here so we can once again assess the situation concerning settlement of the Syrian crisis. I propose that the Defence Minister starts with his assessment of what is happening there. Mr President, In accordance with your instructions, we began the Syrian operation on September 30. In total, over the course of this time, we have carried out more than 9,000 flights, and for the first time, we carried out massive strikes with dispersed weaponry at a distance of over 1,500 kilometres using both air- and sea-based missiles. 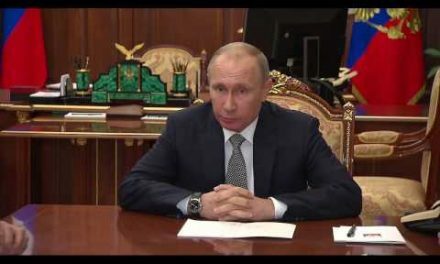 In this time, as a result of the strikes, we were able to significantly hinder, and in some places completely stop resource support for terrorists by intercepting hydrocarbon trade, blocking the main routes for hydrocarbon supplies to Turkey and the main routes for weapons and ammunition deliveries to militants. The terrorists have been driven out of Latakia, communication has been restored with Aleppo, Palmyra is under siege and combat actions are being continued to liberate it from unlawful armed groups. We have cleared most of the provinces of Hama and Homs, unblocked the Kweires airbase, which was blocked for more than three years, established control over oil and gas fields near Palmyra: three large fields that, as of now, have begun to operate steadily. 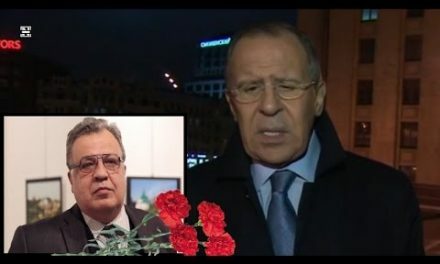 Over 2,000 criminals who have come from Russia have been eliminated in Syria’s territory, including 17 field commanders. Our air force destroyed 209 facilities for producing, processing and transferring fuel, as well as 2, 912 sources of petroleum product delivery. In total, with support from our air force, the Syrian troops liberated 400 towns and over 10, 000 square kilometres of territory. We have had a significant turning point in the fight against terrorism. Organisations involved in this work as a result of the negotiation process have begun taking active steps to ensure the ceasefire (there are currently 42 such organisations); plus, an additional 40 towns that joined the ceasefire. There is monitoring over observance of the ceasefire; a fairly large number of unmanned aerial vehicles – over 70 – are being used for this purpose, as are all means of gathering intelligence, including electronic intelligence and our satellite constellation. I could continue this report, Mr President, but I think these are the main outcomes of our work at this time. 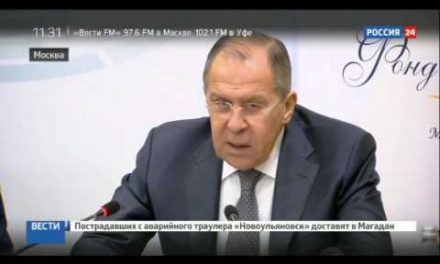 Mr Lavrov, how is the peace process proceeding? Mr President, in addition to the results that were achieved directly on the ground during military actions to repress terrorists, our Aerospace Forces operation helped create conditions for the political process. We have consistently advocated establishing an intra-Syrian dialogue in accordance with the decisions made in 2012. Our suggestions were met with a lack of will on the part of all our partners working on this process. But since the start of the operations by our Aerospace Forces, the situation began to change. The initial steps were gradually taken, first based on your talks with US President Barack Obama: the Russian-American group began to prepare a broader process for external support for intra-Syrian talks. An international Syria support group was created, which included all the key players without exception, including regional powers. Agreements on the parameters for the Syrian political process achieved in this group were approved by two UN Security Council resolutions, which confirmed the three-way process of ceasing hostilities, broadening access to humanitarian supplies in previously besieged areas and starting intra-Syrian talks. The work is difficult and we have yet to see how all these groups can gather at one table. For now, UN representatives are working individually with each of them, but the process has begun, and it is in our common interest to make it sustainable and irreversible. In a short period, Russia has created a military group that is small in number but quite effective – one consisting of different types of forces and diverse capabilities. These include space reconnaissance, drones, combat missile strike systems in fighter aircraft and assault aircraft. They also include Navy forces that used the most modern weaponry from two seas – the Mediterranean and the Caspian – while working from surface ships and submarines. We created a powerful air defence system, including the most modern S-400 complexes. The truly effective work by our troops has created conditions to start the peace process. I feel that the objectives set before the Defence Ministry and the Russian Armed Forces in the Syrian Arab Republic have generally been fulfilled. 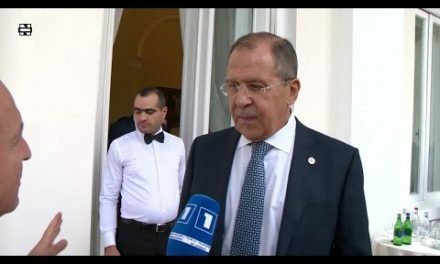 With participation by Russian troops and Russian military grouping, the Syrian troops and Syrian patriotic forces, we were able to radically change the situation in fighting international terrorism and take initiative in nearly all areas to create the conditions for the start of a peace process, as I said. At the same time, our service members – soldiers and officers – have demonstrated professionalism, teamwork and the ability to organise this military work far from their territory, without a common border with the seat of war. They operated effectively over the course of nearly half a year, bringing the necessary supplies and guidance to the military operations. I feel that the objective set before the Defence Ministry and the Armed Forces is generally fulfilled, so I order the Defence Ministry to begin withdrawing the main part of our military group from the Syrian Arab Republic beginning tomorrow. I ask the Foreign Ministry to intensify the Russian Federation’s participation in organising the peace process to resolve Syria’s problems. At the same time, our base points – our maritime base in Tartus and our aviation base at the Hmeymim airbase – will function as before. They must be protected securely from land, sea and air. I hope that today’s decision will be a good signal for all conflicting sides. I hope that this will significantly lift the level of trust between all participants in the Syrian peace process and promote resolving the Syrian issue via peaceful means. 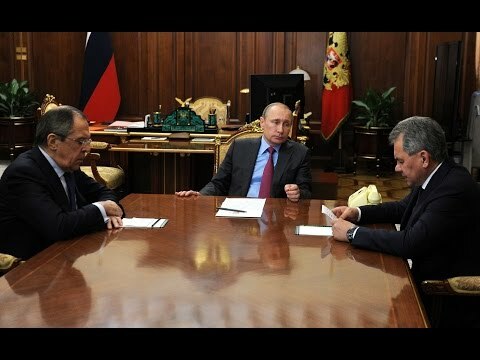 Putin met with Sergei Lavrov, Sergei Naryshkin and Alexander Bortnikov.